The City of Reno, City of Sparks and Washoe County law enforcement agencies are eligible for $144,204 in funding under the 2018 formula JAG program. Grant expires Sept 30, 2021. These agencies have been designated as a disparate jurisdiction and have agreed to share the award as required under the grant. The City of Reno will be acting as fiscal agent for the group and all monies must be applied to law enforcement uses. The joint application is due August 22, 2018. As with past JAG awards, the agencies use these monies for law enforcement equipment, services and training. The Reno Police Department will use the monies for officer safety and investigatory training and equipment. The Sparks Police Department will use theirs to support equipment. Washoe County will use the monies towards officer safety equipment, enforcement overtime, and training. Three percent of the award will be set aside by the agencies to support implementation of the National Incident-Based Reporting System (NIBRS). Established to streamline justice funding and grant administration, the JAG program allows states, tribes and local governments to support a broad range of activities to prevent and control crime based on their local needs and conditions. JAG blends the previous Byrne Formula and Local Law Enforcement Block Grant (LLEBG) programs to provide agencies with the flexibility to prioritize and place justice funds where they are needed most. The Bureau of Justice Statistics (BJS) calculates, for each state and territory, a minimum base allocation which, based on the statutory JAG formula, can be enhanced by (1) the state’s share of the national population and (2) the state’s share of the country’s Part 1 violent crime statistics. Once the state funding is calculated, 60 percent of the allocation is awarded to the state and 40 percent to eligible units of local government. The City of Reno, City of Sparks and Washoe County law enforcement agencies are eligible for $131,170 in funding under the 2017 formula JAG program. Grant expires Sept 30, 2020. These agencies have been designated as a disparate jurisdiction and have agreed to share the award as required under the grant. The City of Reno will be acting as fiscal agent for the group and all monies must be applied to law enforcement uses. The joint application is due September 5, 2017. As with past JAG awards, the agencies use these monies for law enforcement equipment, services and training. The new Interlocal Agreement between the three agencies will be going in from of the City Council and County Commission meetings as follows: Sparks City Council - August 28, Reno City Council - September 13, and Washoe County Board of Commission September 26. 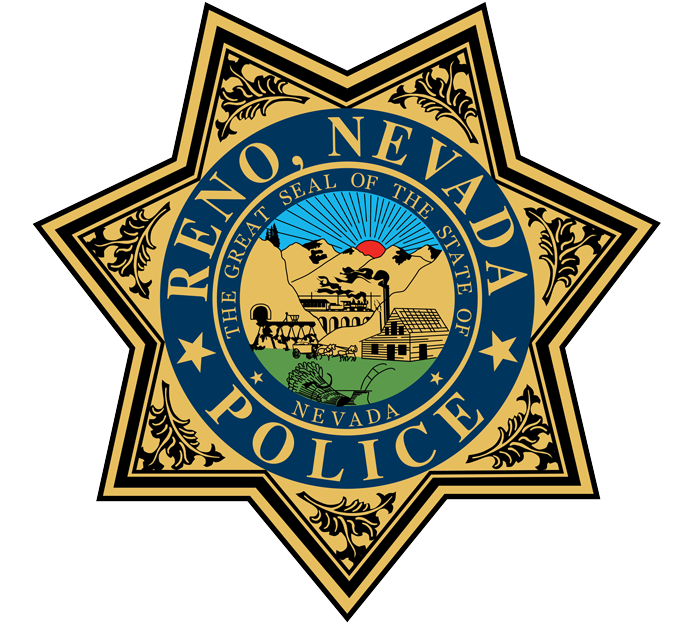 The Reno Police Department will use the monies for officer safety training and equipment. The Sparks Police Department will use theirs towards the purchase of traffic accident scanning equipment. Washoe County will use the monies towards officer safety equipment, enforcement overtime, and training. The City of Reno, City of Sparks and Washoe County law enforcement agencies are eligible for $130,850 in funding under the 2016 formula JAG program. Grant expires Sept 30, 2019. These agencies have been designated as a disparate jurisdiction and have agreed to share the award as required under the grant. The City of Reno will be acting as fiscal agent for the group and all monies must be applied to law enforcement uses. The joint application is due June 30, 2016. As with past JAG awards, the agencies use these monies for law enforcement equipment, services and training. The new MOU between the City of Reno, City of Sparks, and Washoe County will be going in from of the City Councils and County Commission at their June 15, 27, and 28, 2016 meetings respectively. Established to streamline justice funding and grant administration, the JAG program allows states, tribes and local governments to support a broad range of activities to prevent and control crime based on their local needs and conditions. JAG blends the previous Byrne Formula and Local Law Enforcement Block Grant (LLEBG) programs to provide agencies with the flexibility to prioritize and place justice funds where they are needed most. The Bureau of Justice Statistics (BJS) calculates, for each state and territory, a minimum base allocation that, based on the statutory JAG formula, can be enhanced by (1) the state’s share of the national population and (2) the state’s share of the country’s Part 1 violent crime statistics. Once the state funding is calculated, 60 percent of the allocation is awarded to the state and 40 percent to eligible units of local government. The City of Reno and Washoe County law enforcement agencies are eligible for $104,481 in funding under the 2015 formula JAG program. Grant expires Sept 30, 2018. These agencies have been designated as a disparate jurisdiction and have agreed to share the award as required under the grant. The City of Reno will be acting as fiscal agent for the group and all monies must be applied to law enforcement uses. The joint application is due June 26, 2015. As with past JAG awards, the agencies use these monies for law enforcement equipment, services and training. The new MOU between the City of Reno and Washoe County will be going in from of the City Council and County Commission at their June 10th and 9th meetings respectively. The Reno Police Department will use the monies for officer safety training and equipment. Washoe County will use the monies towards officer safety equipment, enforcement overtime and training. The City of Reno and Washoe County law enforcement agencies are eligible for $116,792 in funding under the 2014 formula JAG program. Grant expires Sept 30, 2017. These agencies have been designated as a disparate jurisdiction and have agreed to share the award as required under the grant. The City of Reno will be acting as fiscal agent for the group and all monies must be applied to law enforcement uses. The joint application is due June 10, 2014. As with past JAG awards, the agencies use these monies for law enforcement equipment, services and training. The new MOU between the City of Reno and Washoe County will be going in from of the City Council and County Commission at their June meetings. The Reno Police Department will use the monies for officer safety training. Washoe County will use the monies towards officer safety equipment, enforcement overtime and training. The City of Reno, City of Sparks and Washoe County law enforcement agencies are eligible for $144,757 in funding under the 2013 formula JAG program. Grant expires Sept 30, 2016. These agencies have been designated as a disparate jurisdiction and have agreed to share the award with the City of Reno receiving $57,902.80, the City of Sparks receiving $28,951.40, and Washoe County receiving $57,902.80. The City of Reno will be acting as fiscal agent for the group and all monies must be applied to law enforcement uses. The joint application is due July 9, 2013. As with past JAG awards, the agencies use these monies for law enforcement equipment, services and training. The Reno Police Department will use the monies for officer safety training. 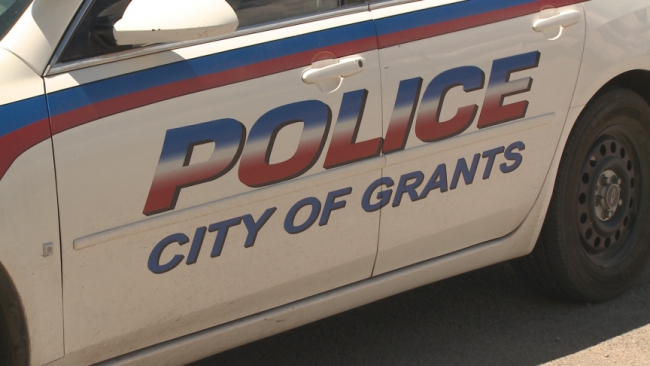 The City of Sparks will use the monies towards law enforcement equipment and training. Washoe County will use the monies towards officer safety equipment, enforcement overtime, and training. Grant amount of $88,422.00 has been awarded by the US Department of Transportation, Federal Motor Carrier Safety Administration FY 2013 High Visibility CMV Enforcement. This grant funding will allow the Reno and Sparks Police Departments to promote and maintain national programs to improve CMV safety, increase compliance with CMV regulations, and increase public awareness about CMV safety to create a safer street community where passenger vehicles respect commercial vehicles and where commercial vehicles are operated safely thereby reducing accidents and fatalities. Grant monies are available from March 1, 2013 to September 30, 2014. Grant amount of $193,341 has been awarded by the US DOJ – Office for Victims of Crime via the State of Nevada – Division of Child and Family Services. These monies are used to support the work of the Victim Service Unit of the Reno Police Department. The Victim Services’ scope of work includes providing advocacy and crisis intervention to assist victims of all crime categories. This includes interviewing victims in order to assess individual needs, provide information, referrals, and services; acting as a liaison with other criminal justice agencies to support the victims. Grant monies are available from July 1, 2012 to June 30, 2015. Grant amount of $250,000 has been awarded by the US DOJ – Bureau of Justice Assistance under the FY 2011 BJA Solicited Grant Program for Combating Misuse of Prescription Drugs. These monies will be used for preventing the diversion and abuse of prescription drugs. The program goals are to reduce the prevalence of prescription drug abuse among young people, educate the public, and work with prescribers and families to fight this growing problem. Grant monies are available from Oct 1, 2011 to May 30, 2014. Follow their activities at the smart policing initiative.